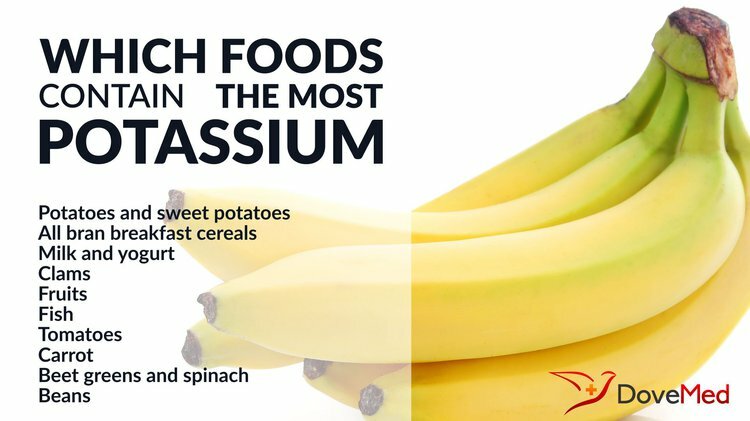 Which Foods Contain The Most Potassium? Potassium is responsible for keeping fluid balance between the cell inside and outside, thereby maintaining fluid volume. It also regulates the cell membrane potential and enables the active transportation of substances across cell membranes. Sodium is an important body electrolyte found in each and every cell and in the blood. Potassium is responsible for keeping fluid balance between the cell inside and outside, thereby maintaining fluid volume. It also regulates the cell membrane potential and enables the active transportation of substances across cell membranes. Potassium is also indispensable to the function of muscles. Potassium, sodium, and chloride are all vital minerals that are essential for the conduction of electrical impulses through the nervous system. Potassium in the body performs many diverse functions such as aiding in normal physical development and growth, building strong muscles, decreasing age-related bone loss, building proteins, synthesizing carbohydrates, and keeping control of the acid-base balance in the blood and tissues. According to the USDA Dietary Guidelines for Americans, potassium is also helpful in mitigating the risk of the formation of kidney stones. Any deficient or excess potassium situation in the body can cause health issues. Low or high levels may be due to the use of diuretics, abnormal or poor renal function, severe loss of fluids due to vomiting or diarrhea, and infections. Abnormal potassium levels can lead to arrhythmias, which cause dangerous heartbeat rhythms. According to the US National Academy of Sciences Food and Nutrition Board, the recommended dietary allowance (RDA) of potassium for adolescents (over 14 years) and adults is 4700 milligrams/day. Different age groups have different phosphorus requirement quantities. The RDA during pregnancy and for lactating mothers is higher at 5100 milligrams/day. A well-balanced diet with foods high in potassium, such as green leafy vegetables, milk, fruits, meat, and seafood, may make-up for the body’s requirement of nutritional potassium. However, individuals with adverse kidney conditions (including on dialysis) may have certain restrictions on eating potassium rich foods. Potassium food sources, such as fast foods, canned and baked food items, processed foods, and even sauces, garnishes, and spreads, contain sodium in very high levels that is harmful to one’s health. It has been observed that a high potassium intake may offset some of the negative effects sodium has on blood pressure. Despite the above, it is always recommended to take the advice of a suitable healthcare professional before bringing any alteration to your regular food habits and diet such as increasing your intake of high potassium foods. Panel on Dietary Reference Intakes for Electrolytes and Water, Standing Committee on the Scientific Evaluation of Dietary Reference Intakes. Dietary Reference Intakes for Water, Potassium, Sodium, Chloride, and Sulfate. Washington, DC: The National Academies Press; 2004. Clinical disorders of sodium, potassium, chloride, and sulfur metabolism. Diagnostic approach in children. Chan JC. Urology. 1978 Nov; 12(5):504-8. The major electrolytes: sodium, potassium, and chloride. Terry J. J Intraven Nurs. 1994 Sep-Oct; 17(5):240-7. Lanham-New, S. A. (2008). The balance of bone health: tipping the scales in favor of potassium-rich, bicarbonate-rich foods. The Journal of nutrition,138(1), 172S-177S. Welling, P. A., & Ho, K. (2009). A comprehensive guide to the ROMK potassium channel: form and function in health and disease. American Journal of Physiology-Renal Physiology, 297(4), F849-F863. Tylavsky, F. A., Spence, L. A., & Harkness, L. (2008). The importance of calcium, potassium, and acid-base homeostasis in bone health and osteoporosis prevention. The Journal of nutrition, 138(1), 164S-165S. Rafferty, K., & Heaney, R. P. (2008). Nutrient effects on the calcium economy: emphasizing the potassium controversy. The Journal of nutrition,138(1), 166S-171S. Drewnowski, A., Maillot, M., & Rehm, C. (2012). Reducing the sodium-potassium ratio in the US diet: a challenge for public health. The American journal of clinical nutrition, 96(2), 439-444.